Pregnant women who exercise are not the only ones benefiting. 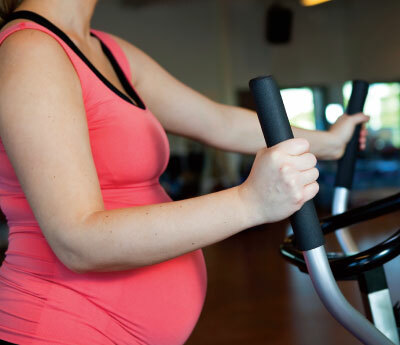 The effects of exercise during pregnancy reach far beyond the physical. The benefits of neurologic function and cognitive development have been found to transfer from mother to baby. Many doctors suggest that women take it easy during their pregnancies; however, being active (as little as 20 minutes, 3x/week) may actually be the best thing for your newborn’s brain development. Over the course of three years, researchers have found that the infants of mothers who had exercised while pregnant were twice as more efficient learners than the children of the sedentary group. Decreases pregnancy-induced fatigue and will GIVE you energy! Prenatal yoga, is one of the most popular forms of exercise pregnant women turn to for not only stretching and strengthening their bodies, but also for the relief of pain in the back, muscles, joints, spine and nerves, caused from the increased weight of pregnancy. Yoga will help improve and support pregnancy postural changes as well. Swimming is another form of exercise to consider for pregnancy, as being suspended in water removes the effects of gravity, taking pressure off and decompressing the spine/joints and will help tone your core as well as helping to position the baby properly for delivery. Many pregnant women will also find relief of back and joint pain under the care of an experienced chiropractor, who works with expectant mothers. Gentle alignment of the spine during pregnancy can help prevent women from feeling muscular tightness, nerve compression and joint misalignment, correct imbalances. Most back pain women experience during pregnancy is manageable with chiropractic. Shortens labor time and helps the baby to get into the “head- down” position.